New Grey Knights Codex from GW. See how the pinnacle of Space Marine awesomeness got a new makeover. 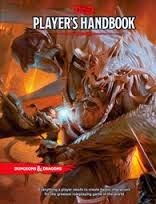 D&D 5th Edition is finally out! Get the new Player's Handbook now and join the crusade.